In view of enhancing the K-12 Program of Zamora Memorial College, Mrs. Venecia M. Bellen, the College President visited Singapore American School (SAS) last November 18, 2016 for benchmarking and consultation on best practices. She was welcomed and toured to the campus by Dr. Timothy Stuart, SAS’s Executive Director of Strategic Programs. 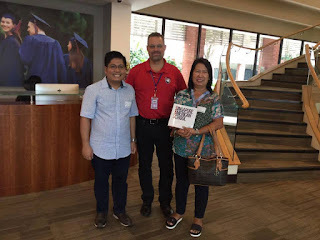 The visit provided a glimpse of the K-12 curricular offering of SAS as well as the magnificent facilities of the school such as the library, laboratories, workshops, canteen and athletic facilities. According to Mrs. Bellen, this initiative is in line with ZMC’s commitment to provide inclusive quality education for Bacacayanos. Executive Director of Strategic Programs at Singapore American School. The Zamora Memorial College Community would like to extend its greetings to the Chinese people the world over on their celebration of Lunar New Year. 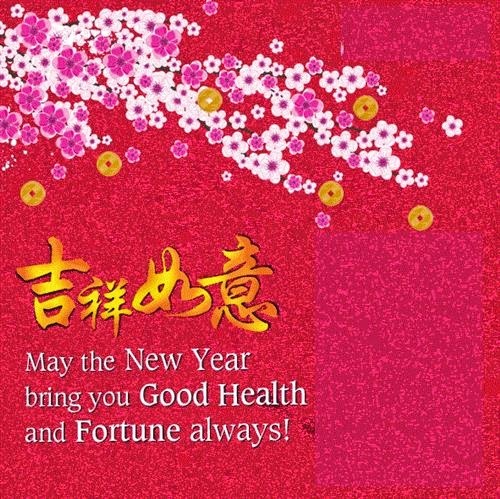 We wish you all happiness, longevity and prosperity. Singapore had captured the world's attention when it topped the Trends in International Mathematics and Science Study (TIMSS) for several years. As such, various studies were conducted by local and international researchers on what could have been the contributing factors to the success of Singapore Mathematics Curriculum. A closer look at the curriculum would indicate that it does not emphasize on content only but also on processes as well as the affective aspects. At a time when countries around the world were revisiting and revising their mathematics curriculum, Singapore developed its own framework which is now known as Singapore Mathematics Curriculum Framework (SMCF). A scrutiny of the curriculum further revealed that the SMCF is mathematically logical and the uniform countrywide framework develop in-depth topics at each grade level. One notable characteristic of the framework is that in the primary level, there are smaller number of topics and these are sequenced by grade level in a spiral curriculum. The earlier lessons were later revisited at a more advanced level. One unique aspect of Singapore Maths is its emphasis on affective issues such as students appreciation, interest, confidence and perseverance in learning mathematics. In addition, it also uses the model method extensively and emphasizing problem solving with school children starting at a very young age. The textbooks used were also evaluated and the findings were that it provided multistep problems and concrete visualizations demonstrating the use of abstract mathematical concepts in solving problems from different perspectives. On the other hand, however good the results of Singapore Maths seem to be, some experts pointed out some limitations. The experts concluded in a report which said that Singapore Maths does not engage students in higher-order thinking skills such as analyzing, reflecting, critiquing, developing, synthesizing and explaining. This therefore does not result to independent learning. Something to think about though is that the TIMSS is also meant to test higher-order thinking skills among the participants of which Singapore garnered the top place. In conclusion, SMCF may not be taken as a curriculum to ace TIMSS, but it has proven its worth in learning maths effectively. 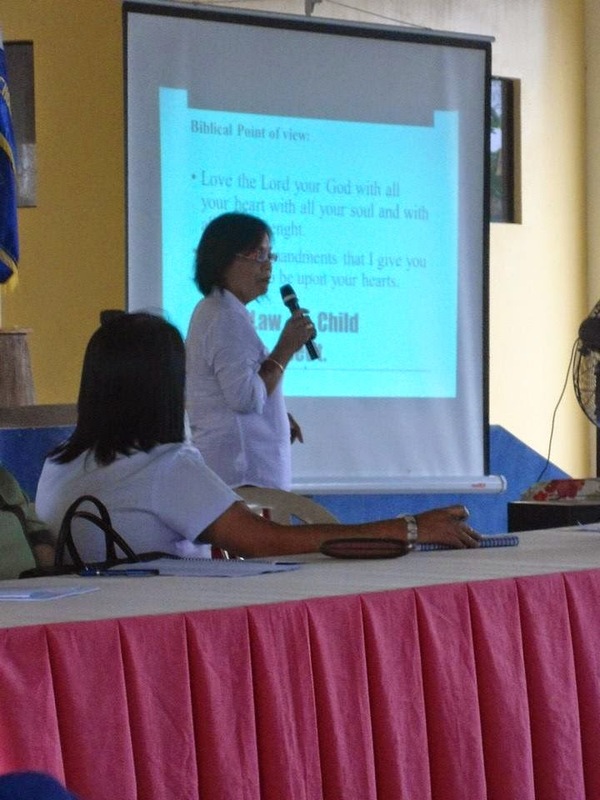 January 29-30, 2015 - The roll-out for Child Protection Policy to all schools in Bacacay was held at the Arsenio Vergara Gymnasium which was participated in by school heads and teachers in Bacacay, Albay. The discussion delved on DepEd Order No. 40, s. 2012 which is known as the Child Protection Policy. Various provisions of the said policy were elucidated as to the limits of the discipline the teachers can impose to students or pupils. After the main talk of the discussant, there was an open forum wherein the teacher participants asked questions and voiced out their concerns. The event was held in support of DepEd's thrusts in upholding the welfare of students or pupils to optimize their learning experience. ASEAN Integration: What’s in Store for Educators? The looming ASEAN integration in December this year poses a lot of questions in the mind of citizens of ASEAN member countries. Among these questions are from the education sector especially on the challenges and opportunities which can open up by the said integration? To begin answering this question, one has to know the very purpose on which ASEAN was founded. ASEAN was founded “to drive economic, social and cultural progress on the foundation of solid regional peace,” said Prof. Federico M. Macaranas of the Asian Institute of Management. The economic integration is geared towards regional co-opetition blending the element of cooperation and competition. As envisioned in the 1996 Asia Pacific Economic Cooperation Summit, education is one of the areas which can help in attaining ASEAN’s goal for prosperity and equitable growth. According to Prof. Macaranas, “Reaching regional harmonization in education is not very distant given the current significant developments.” Regional harmonization is fast accelerating because of increasing international student mobility, deepening research cooperation and networks. As such, there are opportunities unfolding with these events. Challenges however arise from standardization of ‘quality’, institutional diversity, quality assurance systems, research funding, disparities in national migration policies and war for skills. Looking at the Philippine situation, we have shortcomings in human resource as can be deduced from the results of competitive ranking and global surveys. Reforming the curriculum geared towards collaborative learning between management and S&T. It is therefore imperative that the development of educational institutions lies within the standards of regionalism and integration. As such it will not only result to competitive human resources but also to a technologically advanced ASEAN society. 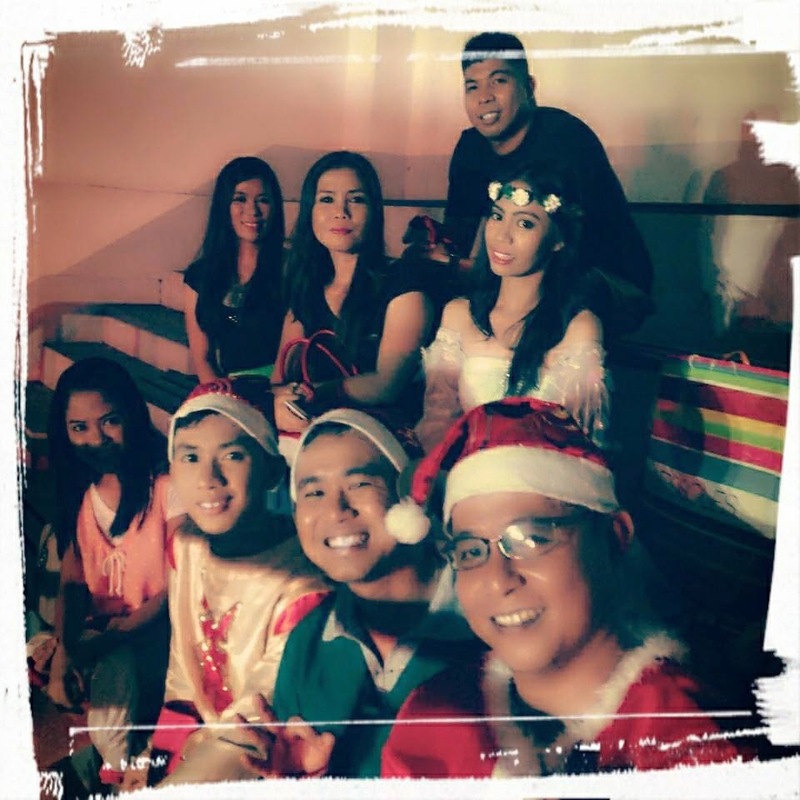 December 22, 2014 - The ZMC high school faculty was awarded first runner-up for their performance during the DepEd Night Christmas Contest held at Bacacay Global Gym. The faculty performers unleashed their inner talents to the delight of the judges. The performance showcased common Christmas characters which we once fantasized during childhood. But Mr. Rominick Yumul, the faculty trainer of the group put it together in a distinctive style which made it stand-out among the contestants. The event was hosted by DepEd and participated in by teachers from various schools in Bacacay. The students posed with Ms. Janet Bariso after her lecture. 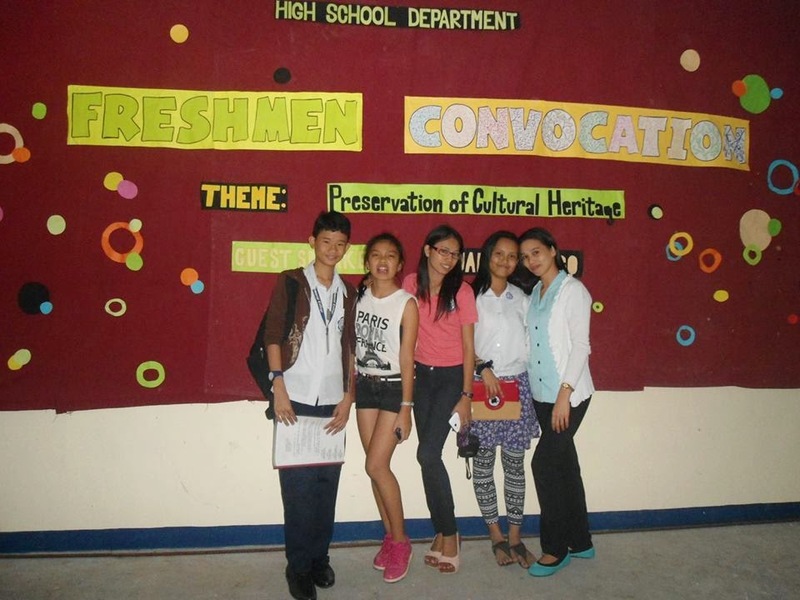 January 23, 2015 - Freshmen Convocation was held at the Arsenio Vergara Gymnasium with the theme "Preservation of Cultural Heritage." The main discussant of the convocation was Ms. Janet Bariso, Araling Panlipunan teacher at ZMC High School Department. Her discussion delved on the importance of cultural heritage preservation. The talk was well received by the students who became aware of their rich cultural heritage and their role in its preservation. Copyright © 2014 Zamora Memorial College Board of Trustees. Simple theme. Powered by Blogger.